December 2014 – This is a blog. I write it. Leehom Wang’s musical romantic-comedy – Love in Disguise is an impressive film by a debutant director. The storyline is simple, rather clichéd yet the treatment is ultimately what matters and the conviction. Love in Disguise follows the life of famous pop-star Du Ming Haan (Leehom Wang) dealing with the usual pitfalls of fame – two-faced supporters, crazed fans, inquisitive paparazzi and an understanding manager Joan (Joan Chen). A running gag of the film is DMH’s actual response and what he wishes to do but cannot because it would ruin his reputation and antagonize fans. Such as when asked about his relationship status with another famous personality, in his mind he assaults the journalist but in reality gives a measured response. 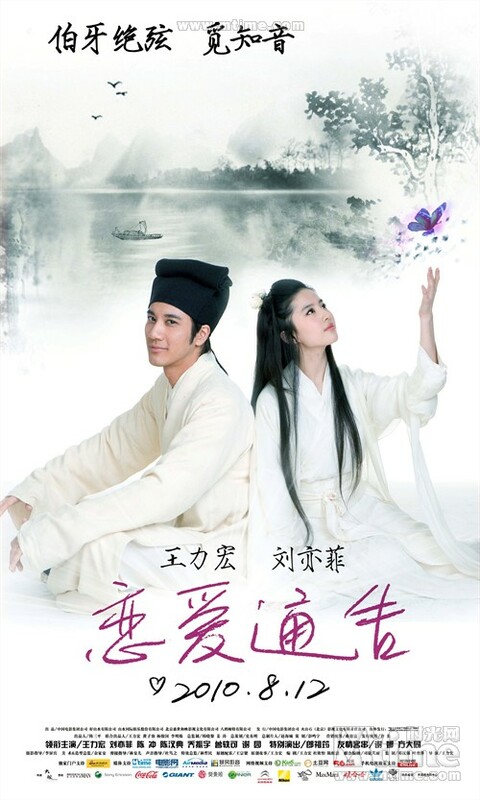 Things change when he encounters the music of a guzheng, played by a classical Chinese music student Song Xiaoqing (Liu Yifei). The music calls to him and he has visions. He goes in search of the music to the Far East Music Academy dragging his friend and band member Wei Zhibo (Chen Han-tien) along. They enroll as students, disguised like rustic villagers, which leads to hilarious situations. The film uses illustrations to express an artist’s imagination and in some places very anime-like emotions. The relationship between DMH and Song Xiaoqing draws on the story of Boya and Ziqi – Boya was a qin player and Ziqi, the only one who could truly understand and visualize his music. They were friends and musical soul-mates. The entire sequence is presented like a traditional Chinese drama. What stands out is the idea, that your soul-mate need not have a non-platonic connect with you. It just becomes a relationship that draws out the best out of you, and helps you see different heights. Wang’s music connects because it fuses traditional Chinese instruments with hip-hop, R&B and western classical – a style he calls ‘chinked-out symphony’. For an Indian viewer, it might be a little low on the melodrama and they would want more comic sequences but it is a fun film and the music – let’s just say, I have Leehom Wang on repeat on my player.